Advertiser.ie - People of the Tribes : Meet Jackie. 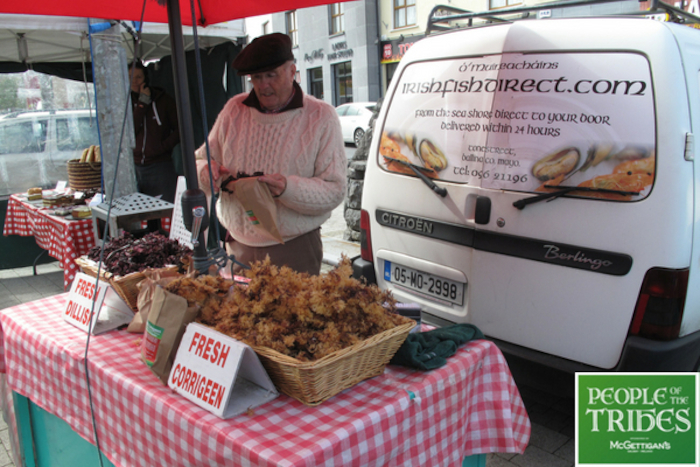 My name is Jackie Meenahan form Ballina Co.Mayo I'm at this job most of my life, I had a fish shop in Ballina which I retired from many years ago, I was fed up doing nothing so I decided to go on the road around the country selling seaweed and I've never looked back since. Its great for my mental health, I come to Galway every Friday to the Moycullen market, make a few bob selling the ol dillisk which comes from Achill Island and make new friends along the way.